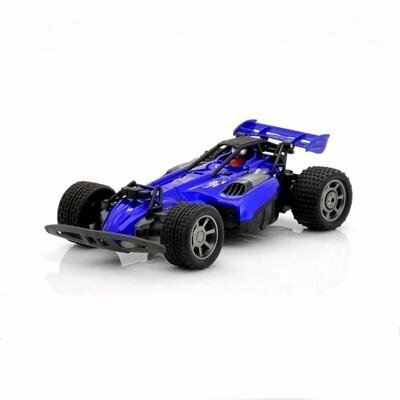 Successfully Added 1:12 Transforming RC Car "Tridor" - 3-in-1 Car, Interchangeable Wheels, 22Km/H Top Speed to your Shopping Cart. 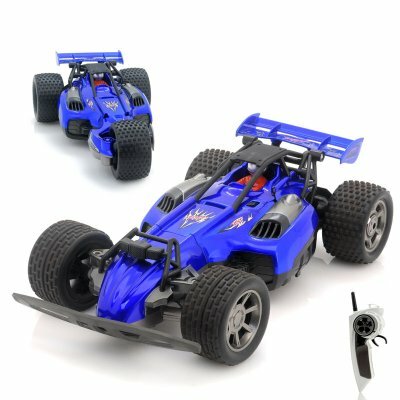 3-in-1 Transforming RC Car with interchangeable wheels, 22Km/H Top Speed, 1:12 scale and more. Blast down the street with the ultimate race car. The latest trend in RC cars has arrived at Chinavasion. The “Tridor” RC car is a transformable 3-in-1 race car which can take on any kind of terrain. Grass, road, carpet,… you name it the “Tridor” can conquer it. Switch the front wheels according to the terrain and choose between the racing wheel set and the all-terrain mono wheel for optimal performances. Even the back wheels can be interchanged using the racing wheels or the bigger all-terrain wheels. Reaching a top speed of 22Km/Hour (13.6 Miles/Hour), the “Tridor” is lightning fast. Race around in the house or on the street and pull off incredible stunts. A soft landing is assured every time thanks to the rear suspension and the soft rubber tires. Included in the set is a professional 2.4GHz remote controller which has a range of up to 60 meters and can be used by both left-handed and right-handed car enthusiasts since the steering module can be interchanged. In stock now, the “Tridor” transforming RC car can be shipped out to you within one working day. Brought to you by the leader in wholesale RC Toys, Chinavasion. The warranty for RC toys is limited due to the nature of this type of product and its usage. Any physical damage that occurs after delivery will void the warranty. This product is for 220V-240V power supply only and is not compatible with 110V power supply. Please check your countries power supply before purchasing this product.